Claudia feels unappreciated at home, so she decides to run away. She chooses to go to the Metropolitan Museum of Art because it is beautiful and comfortable. She takes her younger brother Jamie with her because he has a lot of money saved up and he doesn’t talk very much. Claudia and Jamie hide in the museum bathroom after closing time, bathe in the fountain, and sleep in the antique beds. They settle in to their new lifestyle, joining the museum tours. They become fascinated by a new addition to the museum – a statue of an angel believed to be the work of Michealangelo. Claudia becomes determined to verify the statue’s origin. She researches the statue and the M mark on its bottom. She and her brother use the rest of their money to travel to Mrs. Basil E. Frankweiler’s home, the statue’s donor. 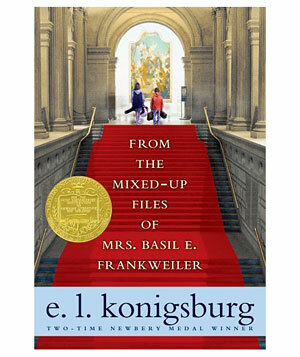 Mrs. Frankweiler allows Claudia to search her files for to uncover the mystery of the statue, and once Claudia’s curiosity is satisfied, Mrs. Frankweiler sends the two children home.